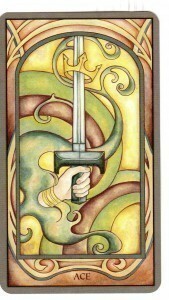 Hello and welcome to the Fall Tarot Blog Hop. The person who gave us our topic is Morgan Drake Eckstein. In the life of everyone who deals with Tarot, there comes those moments where your understanding of the Tarot undergoes a radical change, or when one’s skill with the Tarot takes a giant leap forward. Sometimes this is the result of learning a new technique, or acquiring a special deck, or because of an event in one’s life; other times, it is the result of nothing that you can pinpoint. 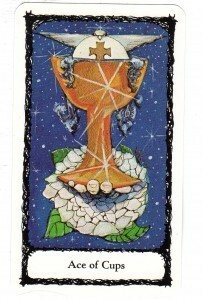 Whatever the cause, the end result is that you approach the Tarot in different manner than you did before. I think that we here at U.S. Games can safely say that most profound moment for us was when Stuart met Pixie. 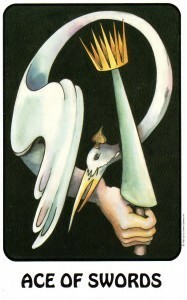 Mr. Kaplan began his lifelong love of the tarot in 1968. He’s turned that hobby into a thriving business. 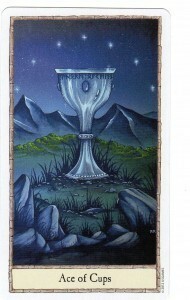 His personal research into the Tarot has enriched the Tarot community as well as his own life. In an interview with Malcolm Muckle of Students of Tarot, Stuart was asked about Tarot being magical. Here is his response from this 2009 interview. 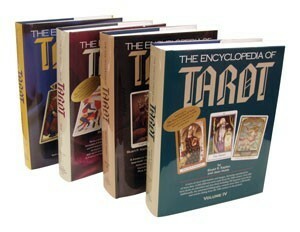 Tarot cards are an unbound book. Shuffle the cards and there is a new story that is revealed. 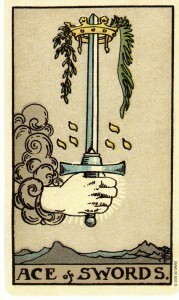 The person reading the cards brings their own, unique interpretation to each reading of an individual card and the cards in combination. There is a an aura of mysticism coupled with fascination that surrounds the images on the cards, and the fact that they have been in existence for over five centuries adds to the allure. You can find Stuart’s passion for Tarot bound up in four encyclopedias in his The Encyclopedia of Tarot, Volumes I, II, III and IV. You also might enjoy this article about Stuart done by Dr. Stephen Winick, a folklorist, writer and editor for the Library of Congress. 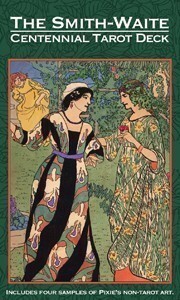 So we’d like to ask you about your own passion for Tarot. 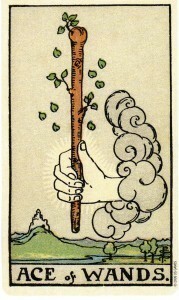 What was your first experience with the Tarot? We will give away one copy of The Smith-Waite Centennial Deck to one of the people who comment on this post by 9/28/2014. Contest will close at 10pm PST. The winner of the contest is Laura C with a Gmail address. Congratulations! We will announce the winner here and on our Facebook page. Please join us on our very popular Facebook page as well as our Twitter account. We love hearing from you. 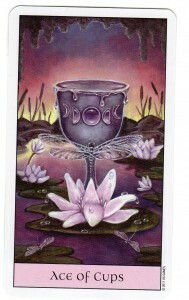 So leave your comment then head out to the next blog in the Tarot Blog Hop. 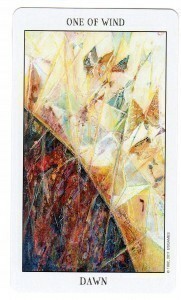 This entry was posted in Uncategorized and tagged Aces, Contest, Giveaway, Pamela Colman Smith, Tarot Blog Hop on September 23, 2014 by USGS Staff. 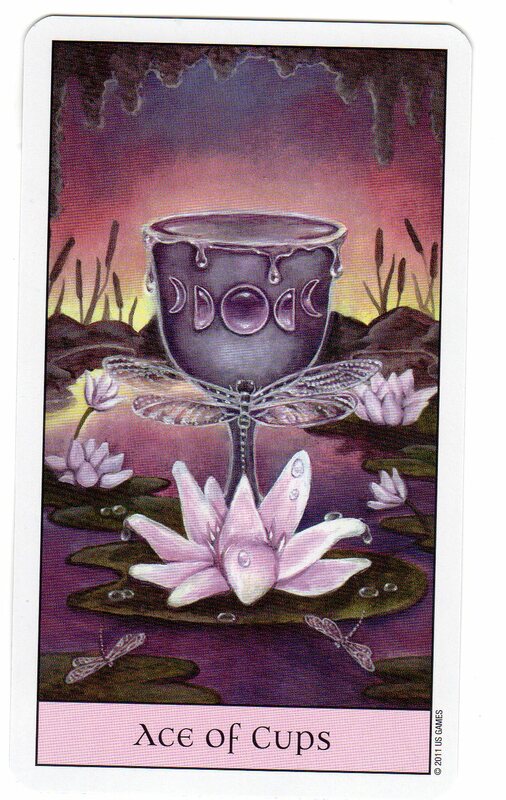 Let’s take a look at the Ace of Cups. 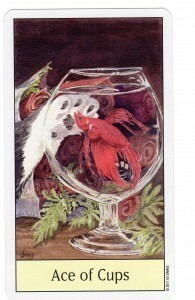 Traditionally this card is read as love being offered, compassion, creative endeavors. 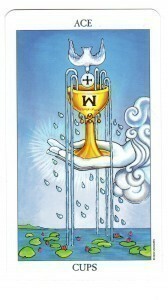 The reverse meanings include missed emotional chances, rejection, blocked emotions. 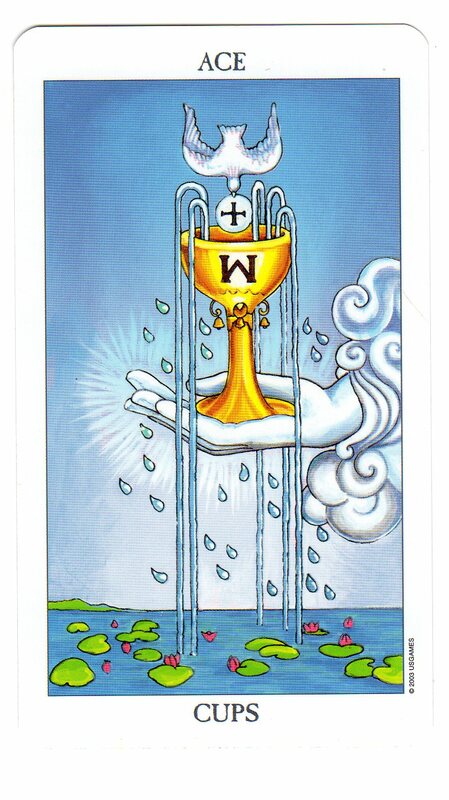 This entry was posted in Esoterica, Tarot Symbolism, The Cards and tagged Ace of Cups, Aces, Comparisons, Cups on September 13, 2014 by USGS Staff. 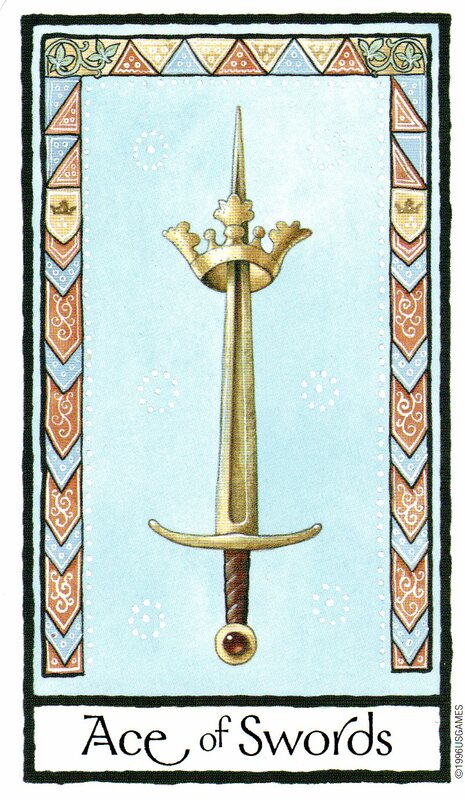 Let’s take a look at the Ace of Swords. 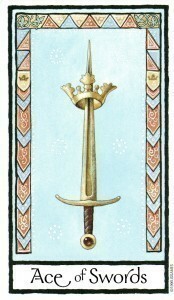 Traditionally this card is read as victory, mental projects, clarity. The reverse meanings include being confused, unable to make a decision, loss of clear thinking. 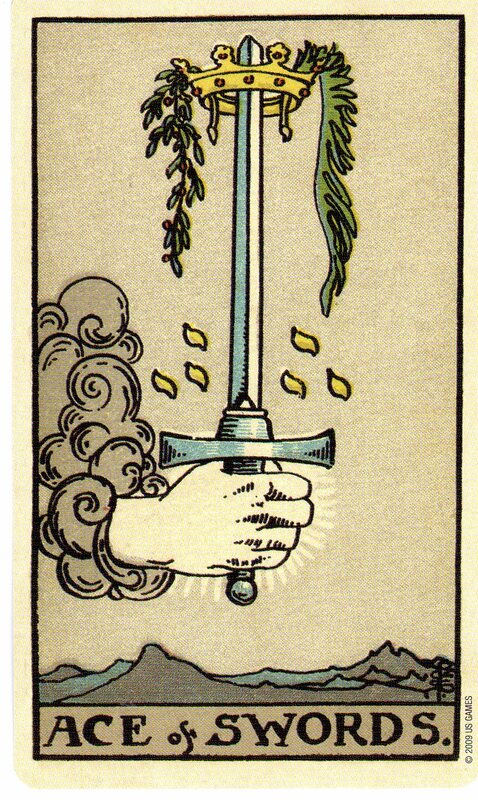 This entry was posted in Decks, Tarot Symbolism and tagged Ace of Swords, Aces, Comparison on September 6, 2014 by USGS Staff. This is a repost of Arwen Lynch’s post at Witches And Pagans. Arwen used our Tarot Magnets to demonstrate how she uses Tarot and magic. This is day three of an ongoing week-long challenge to seek joy. The beginning can be found here. I am sharing day three here because it involves a very simple, often overlooked, type of magic. All you need are Tarot cards, paper, pen, a magnet and a fridge. The challenge itself is very straight-forward. Just say, once a day, “I am a joy seeker. Joy finds me. 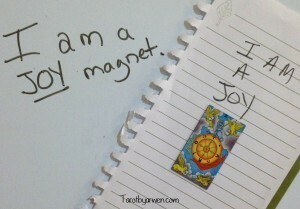 I am a joy magnet.” Then report here to share your joy! Do this out loud. Do this looking yourself in the mirror. If you are sight-impaired, speech-impaired, hearing-impaired, no worries. Adjust as suits you! There’s an easy spell you can do to call joy to you. You don’t need to be artistically-inclined. Just write down what you are then place it on a metal surface (like your fridge!) with a magnet. 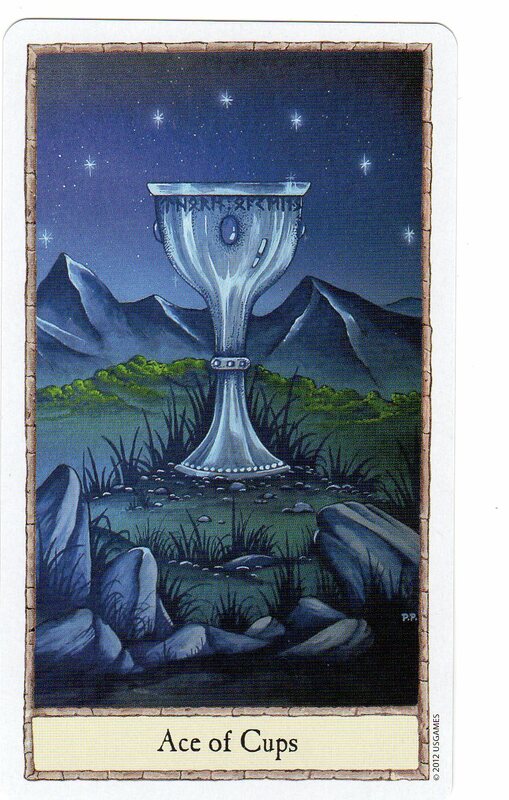 I love using my Tarot magnets from U.S. Games Systems Inc. for this. Today I am a joy magnet so I put that on my white board. I wrote it out on the board. then on a piece of paper that I stuck to the white board with a Wheel of Fortune magnet. 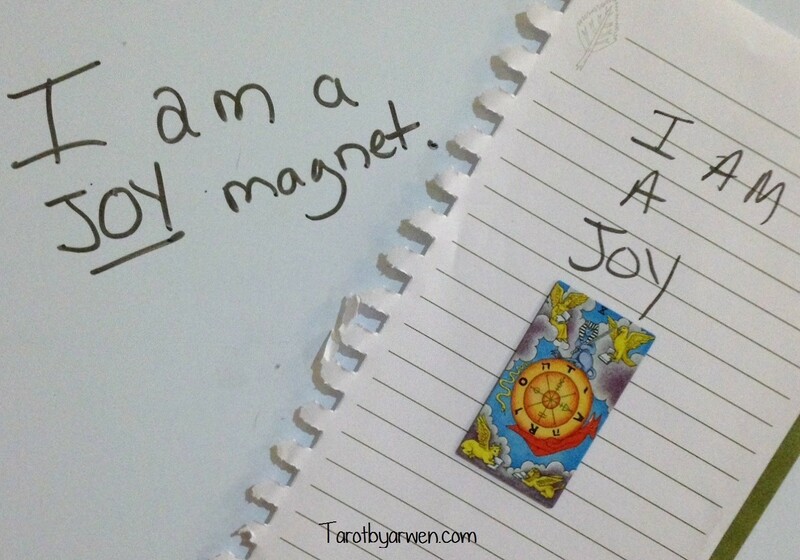 Magnets attract so I am empowering this magnet to attract joy. Magnet magic is one of the simplest things you can do. I think it is also one of the types of magic that we tend to overlook because it is such an easy working. I’d love to see your own magnet magic if you try this out. U.S. Games offers the Fool, the Magician, the Lovers, Strength, the Wheel of Fortune, and the Moon. Each set has six of the same card but from various U.S. Games decks. 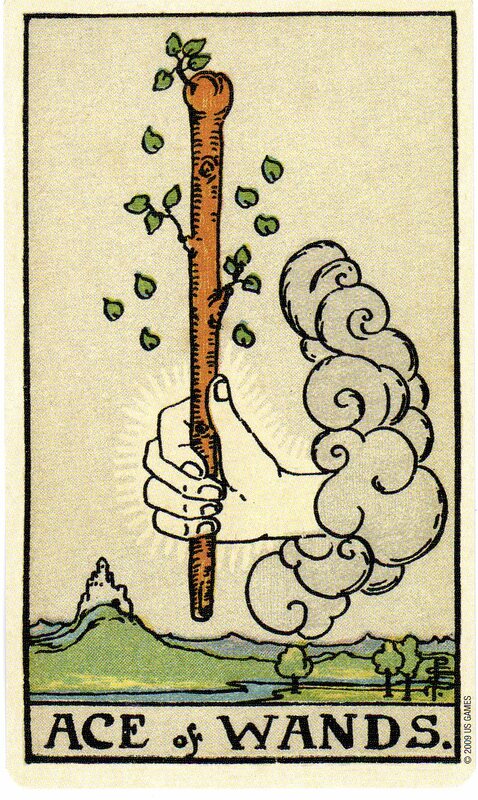 This entry was posted in Uses for Tarot and tagged Magnet, Tarot Magic, Tarot Spells on September 2, 2014 by USGS Staff.